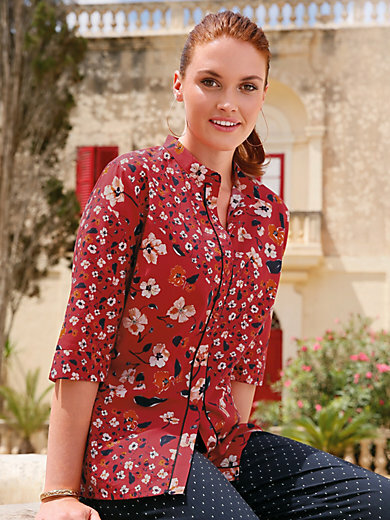 Blouse by ANNA AURA with 3/4-length sleeves and fresh floral print. Full-length button front. 100% cotton. Length in size 16 approx. 27ins. The blouse is machine washable.